The sun was invisible behind a sheen of Saturday clouds as I crossed the intersection in six-inch platform heels. I was comfortable, and modestly dressed—but even modest outfits are loud on my six-foot-six trans body. A car horn grabbed my attention as I made my way across the sidewalk, so I turned to make sure I wasn’t about to get sideswiped. The car slowed down and pulled alongside me. Four grown adults literally pointed at me, laughing and throwing slurs, while the two on the passenger’s side pulled out their phones and took pictures—presumably to laugh at later with friends. 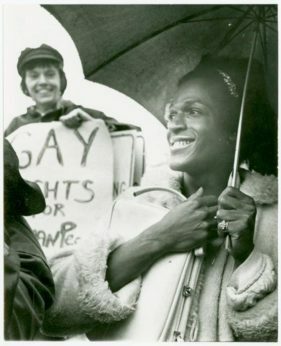 Stonewall veteran Marsha P. Johnson at a gay rights rally at New York City Hall in April 1974. | New York Public Library. Later in the same week—this time as I wore jeans, sneakers, and a T-shirt—roughly the same thing happened as I walked to the grocery store. But bullying is only the tip of the iceberg when it comes to attacks against the trans community in America. Had any of these bigoted bullies hit me with their car, stabbed me, or beaten me, EMTs could legally refuse life-saving care to my broken body on religious grounds because I’m trans. The same could happen at the hospital they might take me to—whether it’s a religious institution or not, according to guidelines from the Trump administration. These realities haunt me when I leave the house every day. 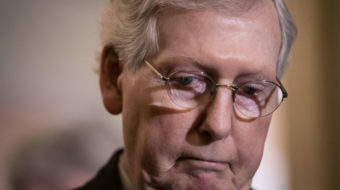 The shadows grow longer every time I see that another trans woman has been murdered, and every time I see the kind of conservative “Christians” I grew up around claiming it’s their religious liberty to deny me my life and my participation in society at large. Every day, it’s terrifying. Every day except Pride. 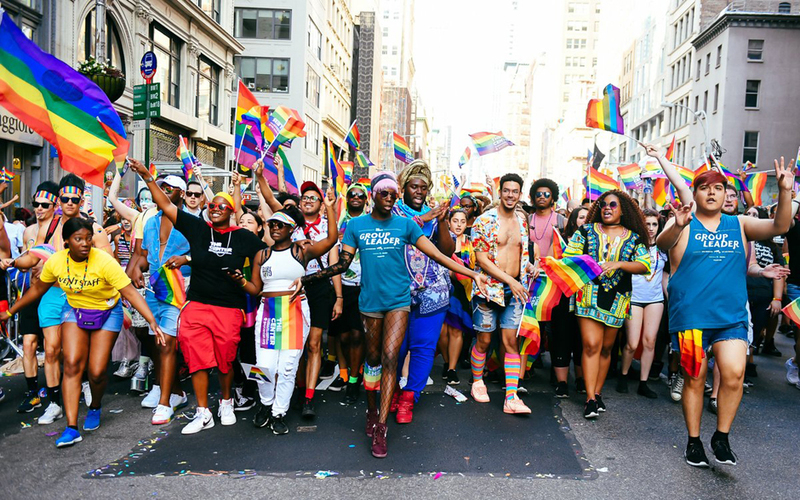 Each June, most major cities in the U.S. hold “Pride” parades and festivals—technically in memory of the Stonewall riots started by Marsha P. Johnson, a black trans woman, gay rights activist (terms were looser back then), and drag queen. Go to any Pride parade and you’re likely to see more glitter than all the arts and crafts projects the world can muster. You’ll see queer bodies of all colors in various states of dress (and undress) in all the colors of the rainbow we’ve gleefully claimed. Pride is a carnival, a festival. At its best, it’s a feast of love and the best attention money can’t buy. It’s a kaleidoscopic display so bright, intense, and varied that you can almost, for a moment, forget that LGBTQ people can still be legally fired or denied housing in 29 states—more than half of the country. At Pride, I can strut up and down the street in glitter and a bikini top and no one laughs. For one or two beautiful days, LGBTQ people can walk around with their heads held high in public, in a kind of safety that most of us take for granted every other day of the year. We still need Pride events all across this country, because all across this country we’re still not safe. So, until every LGBTQ person has a safe home, until all of us have a well-paying job that respects us, and until we’re all afforded the basic legal dignities that everyone else enjoys: We’ll continue to march, and dance, and parade like there’s no tomorrow. Robin Carver is a development assistant at the Institute for Policy Studies.